Well everybody that's our show. Thank you for spending Christmas Eve at the House of Mouse. Here's wishing everybody a Merry Christmas and a safe trip ho-home! Pluto, we've got chipmunks in our tree! Cute little fellas. No no! I won't sell him to you, he's my pal! So you still think that guy's funny? Ok. Everybody, now it's time for a change of pace. Tonight, we have a show that won't be forgotten. Now I wanna remind everyone of the House of Mouse Rules: No smoking. No villainous schemes. And no guests eating other guests. Goofy, you're talkin' through the wrong end of the phone again! New Updates! (4/20/2019) We've been working really hard on completing our membership system so you can submit quotes and keep track of them. Once this is complete in the coming weeks there will be a lot more quotes by Mickey Mouse and other authors. We've also changed the sorting on the site so you now see the latest Mickey Mouse quotes first. 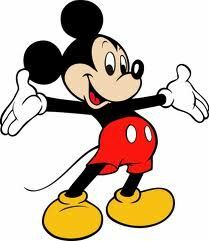 Our goal is to have the best Mickey Mouse quotes on the web!